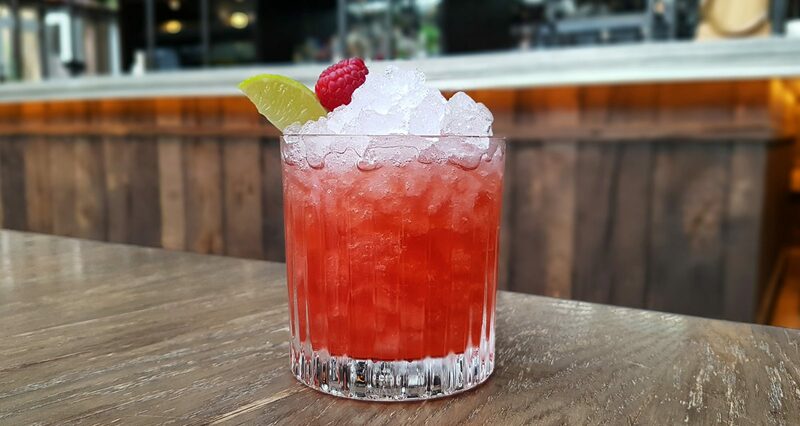 Bartender Sam Claridge’s combination of raspberry and almond liqueurs with lime left us all a bit stumped when it came to naming his drink. But in putting out a call for a name, we hit upon it: Answers on a Postcard. You’ll need: a Boston shaker, a muddler, a Hawthorn strainer, a fine strainer and a rocks glass.